Best Sydney selection of Asian relaxation massage. Great choices for suburban and city massage. We have selected the best massage clinics in Sydney's suburbs & the city for Asian-style stress-release relaxation, or remedial muscle work to treat minor injury or discomfort. Featuring traditional Oriental techniques, a skilled & well-groomed Asian masseuse will ensure a worthwhile experience. All featured businesses have modern facilities to ensure your comfort and to build repeat business - we don't promote a business we wouldn't return to ourselves! From the Sutherland Shire to the City, Hornsby to Penrith, and now out to the Eastern Suburbs, we have identified Sydney's best therapists in Asian Massage. Many are open longer to provide a late-night massage on the way home from work, and all are open 7 days. All offer reasonable prices (see our massage price guide), various massage styles and some offer special massage prices and deals on occasions. Don't let life burn you out - make a massage part of your weekly 'me-time' routine. Nobody ever died and regretted having so many massages! Almost all our businesses are open all weekend - but we do recommend you call first to make sure they can fit you in, some will be operating with reduced staff. 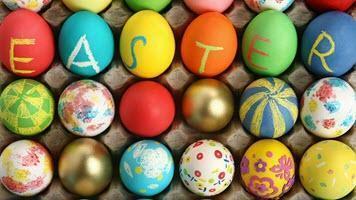 Click here for a list of Easter Weekend Massage Clinics.